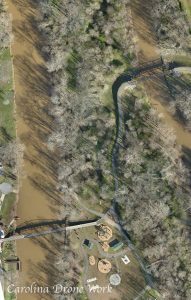 Cramerton is located along the Southfork of the Catawba River. The sidewalks welcome you to take long walks and enjoy the small town life with all the action you need in near by Charlotte. 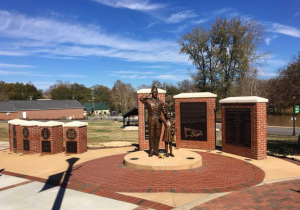 This historic small town honors its veterans and offers an incredible island park along the Southfork of the Catawba river named Goat Island. 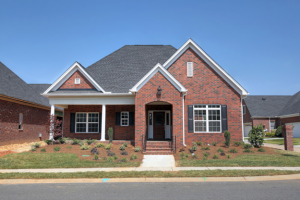 What do you get when you combine award-winning, traditional, all-brick architecture with a maintenance-free platform in one of the most desirable communities in the Charlotte area? 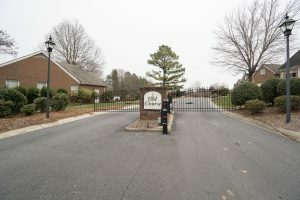 The Courtyards at Cramerton. A premier age-restricted community by NewStyle Communities, an EPCON Communities Builder. Prices from the high $200s to the high $400s. Coming in 2019: Amenity center with clubhouse and outdoor living area. 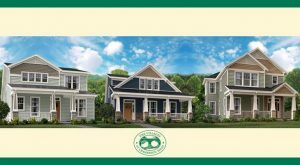 The Villages at Cramerton Mills, a pocket neighborhood featuring stunning homes with large porches facing a beautifully landscaped park. 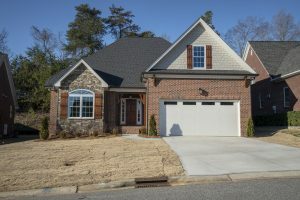 The Villages at Cramerton Mills is a neighborhood unlike any other in the area. The central park creates a sense of community that harkens back to simpler times when neighbors were friends. While feeling worlds apart from the hustle and bustle of everyday life, this walkable community is located only 2 miles from Historic Downtown Cramerton. This neighborhood is perfect for the empty-nester, the family that wants to downsize, and even the first-time home-buyer looking to start a family. The expertly designed two-story Craftsman homes offer a myriad of features guaranteed to impress you and your friends. Come see why The Villages at Cramerton Mills, is like no other with so much to offer! We look forward to Welcoming You Home. 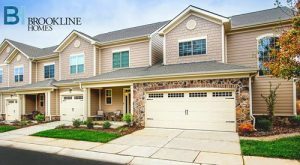 This luxurious community of townhomes located within walking distance to many of Cramerton’s amazing amenities evokes a sense of tranquility and small-town charm. Stuart’s Landing features a beautiful clubhouse and pool and is comfortably situated on the 3rd hole of Cramer Mountain Country Club. Stuart’s landing is the perfect community for Down-sizers, Empty-nesters and first-time buyers looking to escape the hectic city life and relax in this serene, picturesque community. Home can be a place difficult to describe, but once you are there, you know it, the residents of Stuart’s Landing certainly do. 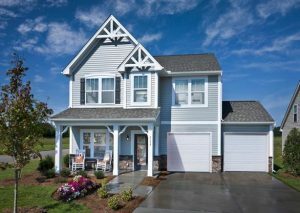 Located in Cramerton/Belmont/McAdenville area, Villages at Southfork features our Elements collection of homes priced from the $250's. Located just minutes from downtown Belmont which features many great shops, restaurants, and parks. Also nearby are tons of shops and restaurants on Wilkinson Boulevard (Gastonia). Downtown McAdenville and Downtown Cramerton also feature charming shops and places to eat. 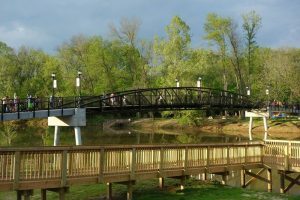 The Goat Island Park is a short 2 minute drive from Villages at Southfork and features walking trails, a disc golf course, dog park, fishing platforms, and an amazing park for the kids. I-85 access is a short 3 minute drive from the community. This location truly has it all and you won't find a better, more central location, that is so close to all of this great stuff for this price in the market. 1814 - 3500 Sq. Ft.
Summer days at Cramer Mountain Club can be spent relaxing poolside with other members, kids, and families. Our new pool features a zero degree resort-style entry, outfitted with a splash pad, and an enormous 15 ft circular water slide. The pool hosts many events throughout the year and is home to the Cramer Mountain Club swim team. This is by far the best swimming pool around! There is full restaurant service at the pool. 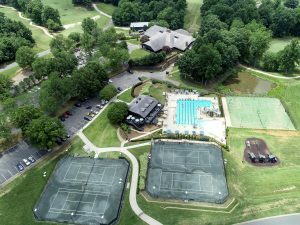 The Cramer Mountain Club offers four lighted Har-Tru Clay Tennis Courts and one Hard Court. 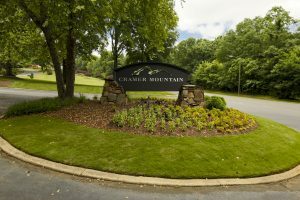 Gated community of patio style homes located on the Cramerton Mountain Golf Course. Located just minutes from downtown Belmont which features many great shops, restaurants, and parks. Also nearby are tons of shops and restaurants on Wilkinson Boulevard (Gastonia). Downtown McAdenville and Downtown Cramerton also feature charming shops and places to eat. I-85 access is a short 10 minute drive from the community. 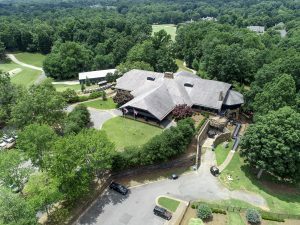 This location truly has it all and you won't find a better, more central location, that is so close to all of this great stuff for this price in the market. Come enjoy our great RESTAURANTS!